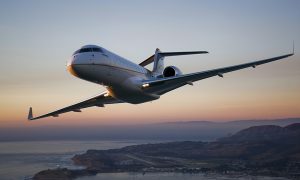 Hong Kong-based Metrojet, a business aviation service provider with a presence throughout Asia Pacific, announced the appointment of Captain Denzil White, as Managing Director, Aircraft Management and Charter, with effect from 1 January 2019. Denzil will assume responsibility for the management and business development of Metrojet’s Aircraft Management, Charter and Flight Operations. Denzil has more than 28 years’ experience in business aviation. He was one of the co-founding partners of ExecuJet and was instrumental in growing this business into a highly respected international company, managing, operating and maintaining more than 150 aircraft. Upon moving to Asia in 2012, Denzil served as the Director Operations for Metrojet and the CEO of Hongkong Jet. During his four-year tenure at Hong Kong Jet, the company enjoyed significant growth and attained it’s IS-BAO Level III safety rating. Denzil is presently a Board of Governor for the AsBAA and ex-chairman of the AsBAA Hong Kong Chapter. He holds an Airline Transport license, flying instructor rating, designated examiner and test pilot certificate, with 9,500 accident-free flight hours. Established in 1995, Metrojet pioneered business aviation services in Hong Kong and remains one of the most renowned safety and customer-focused business jet companies in Asia Pacific. Metrojet provides comprehensive and seamless solutions across the full spectrum of business aviation services, including aircraft management, maintenance, charter and aviation consultancy services.